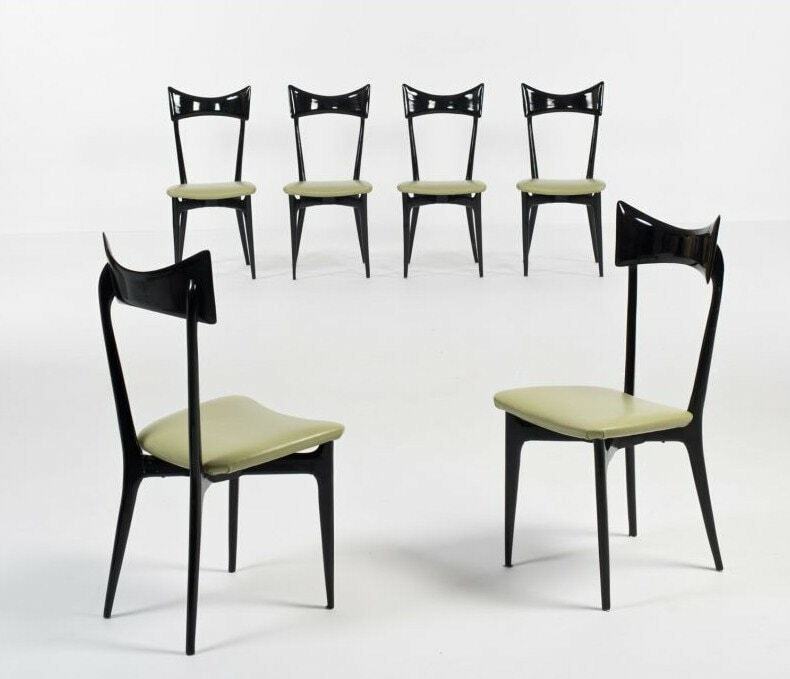 A set of four dining chairs designed by Ico Parisi for Ariberto Colombo, Cantu Italy 1955. 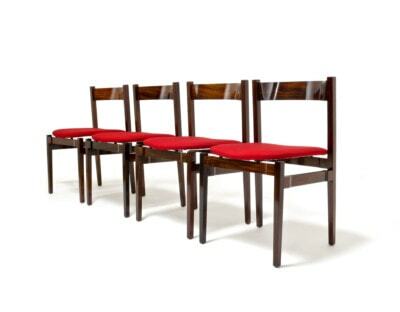 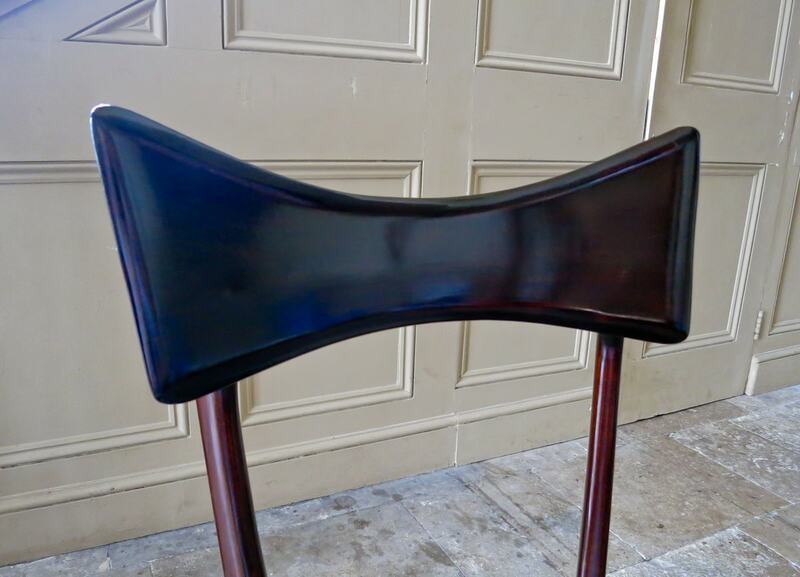 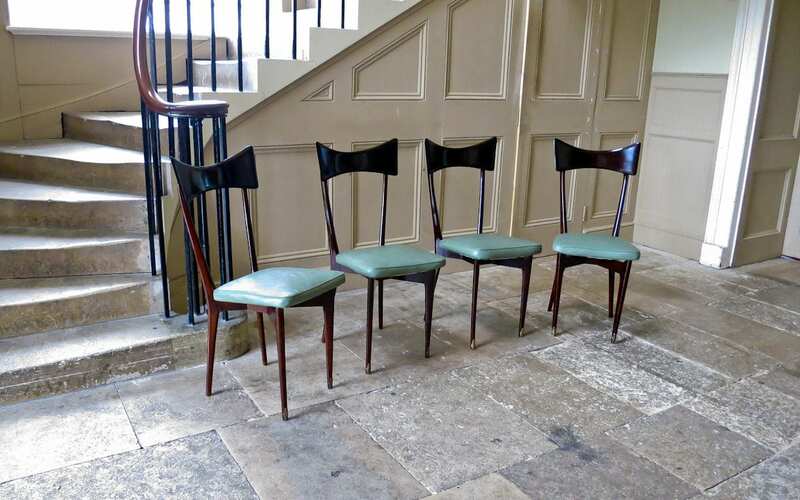 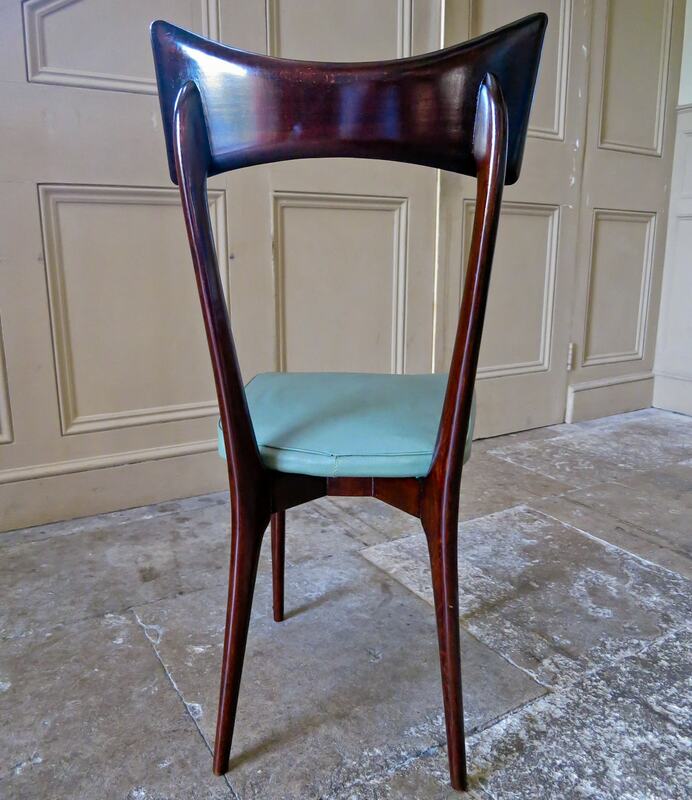 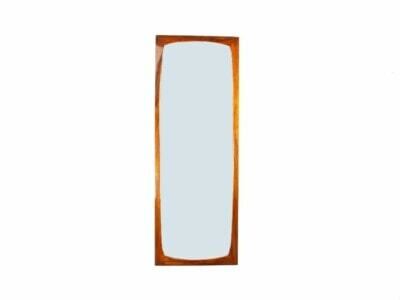 Beautiful dark rich red patina to the chairs, finished off nicely with elegant brass sabots. 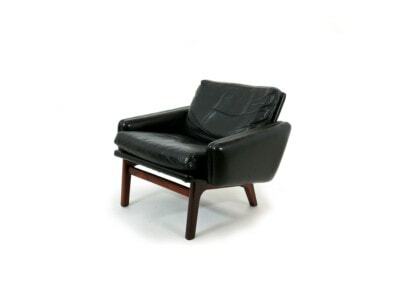 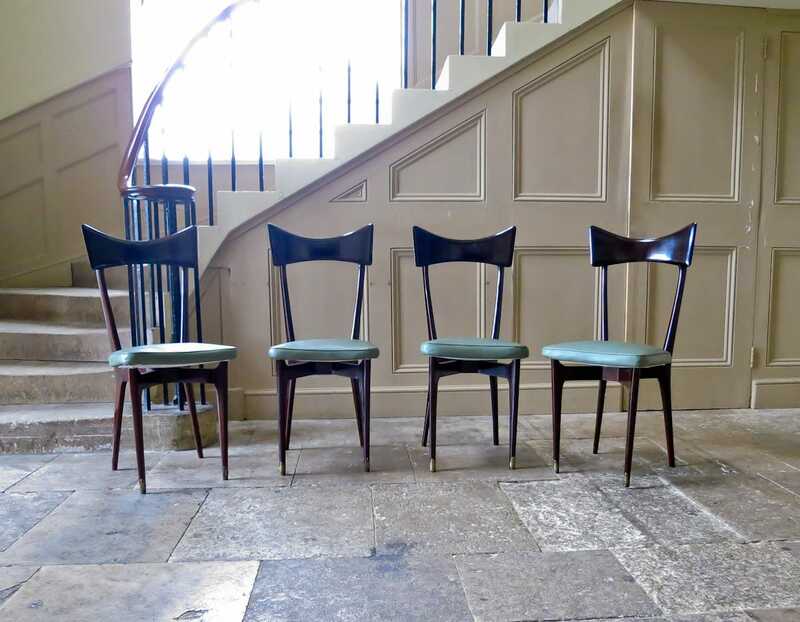 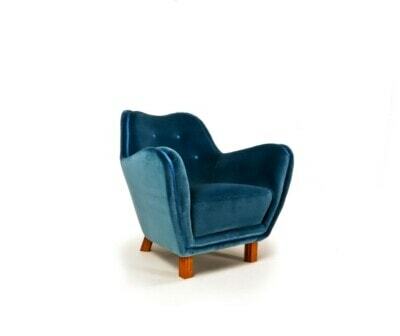 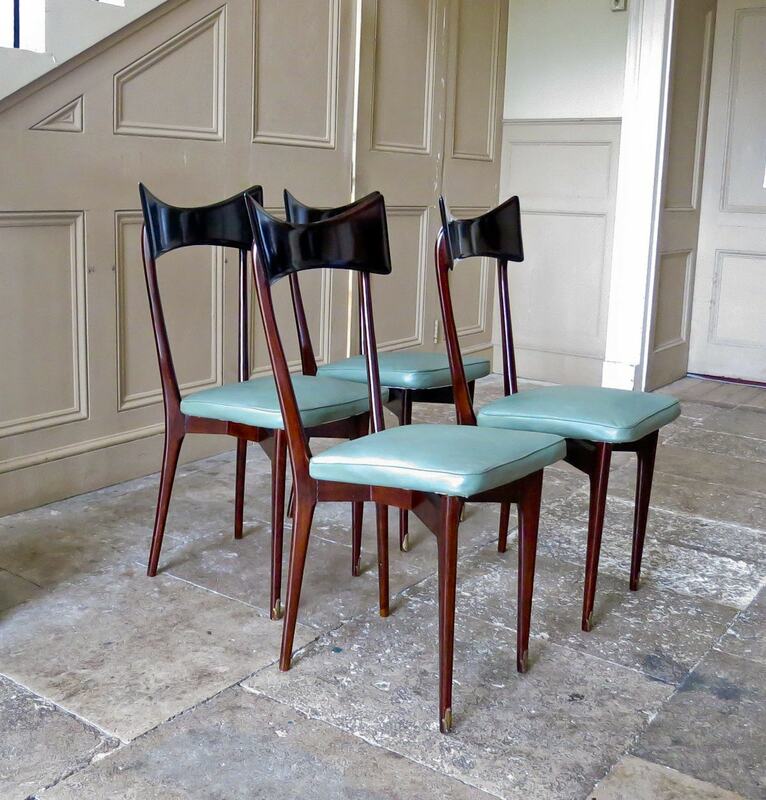 The chairs retain their original olive green skai upholstery, all of which is in an excellent original condition. 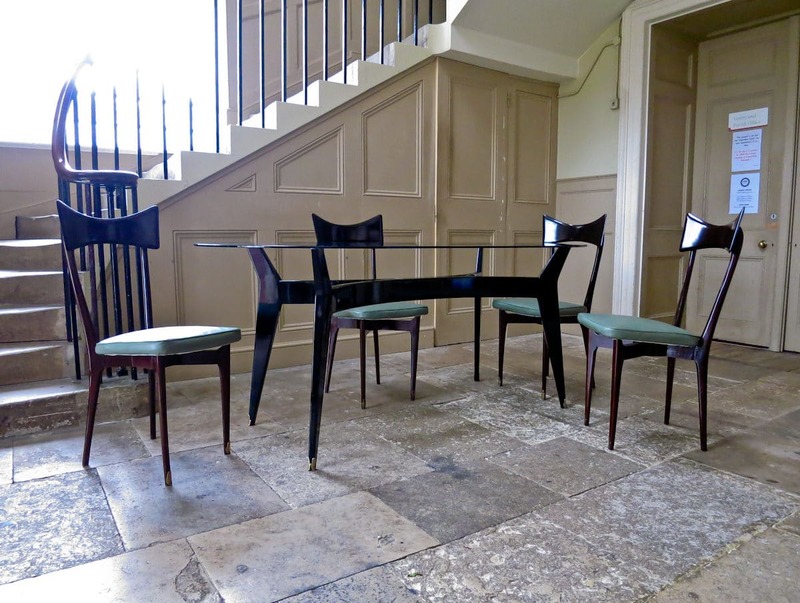 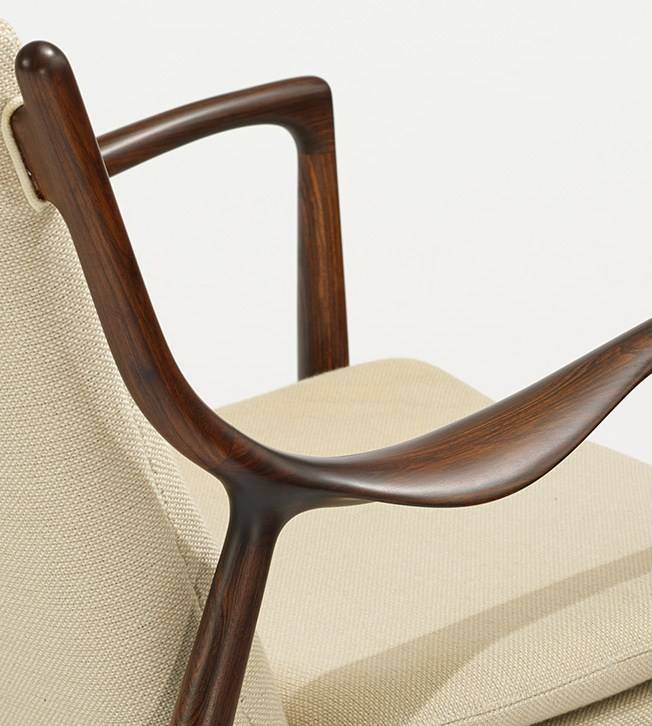 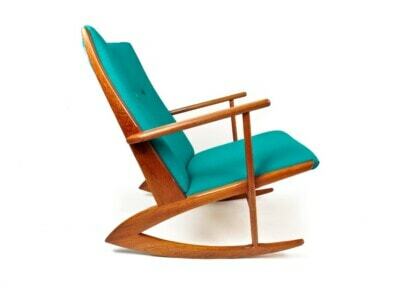 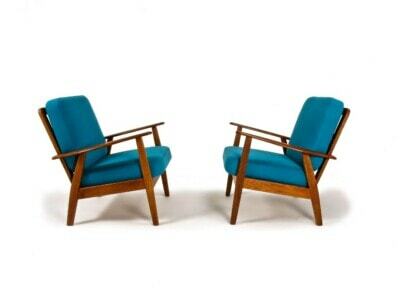 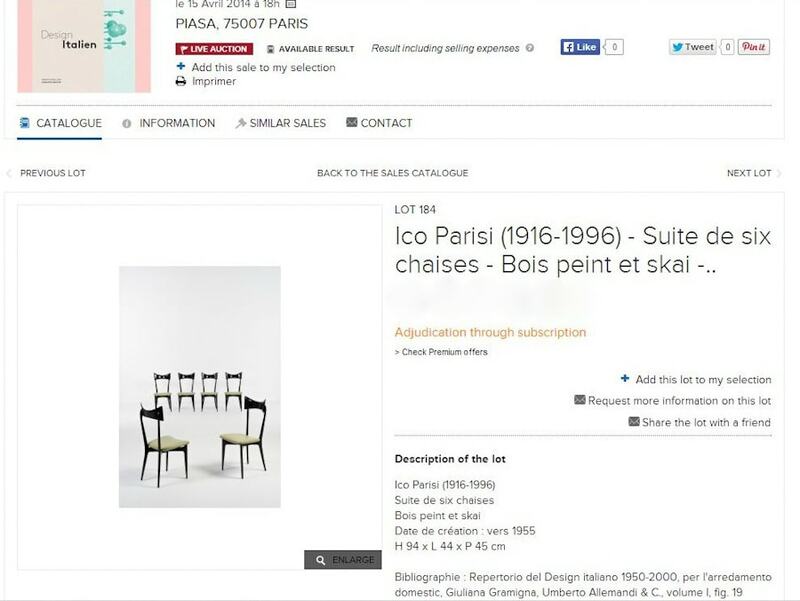 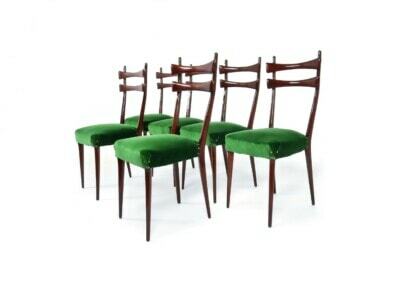 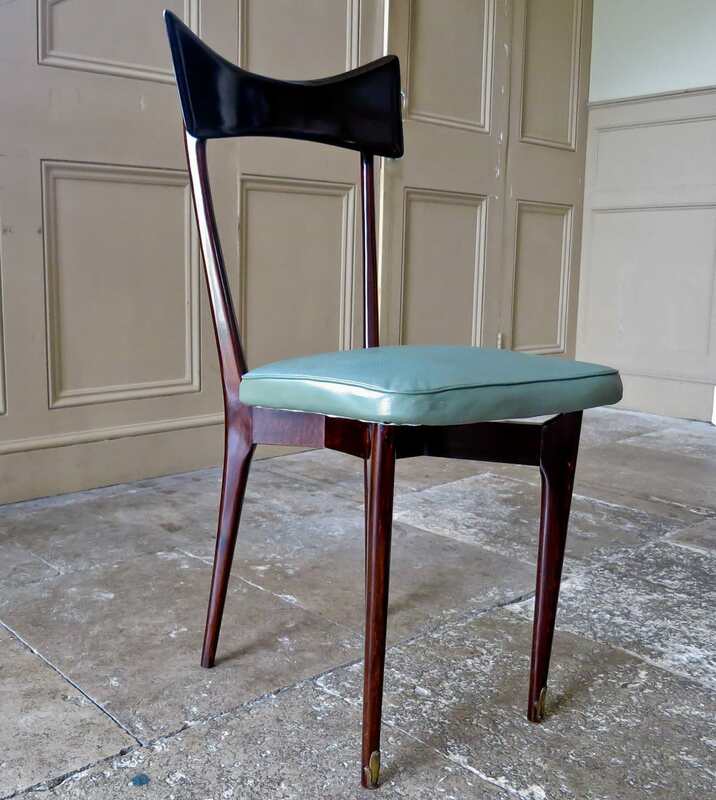 A rare set of mid century dining chairs designed by Ico Parisi. 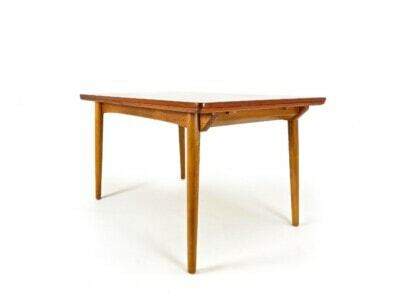 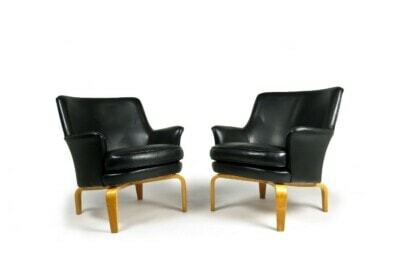 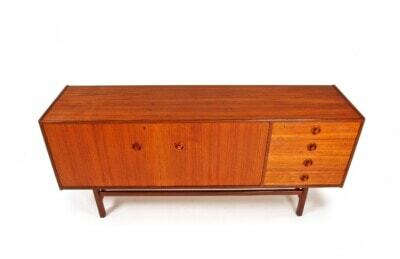 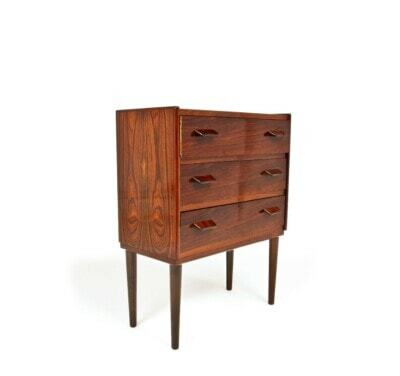 A characteristic 50’s Italian design with their elongated forms and pointed tapering legs, they have a beautiful slightly dark presence.